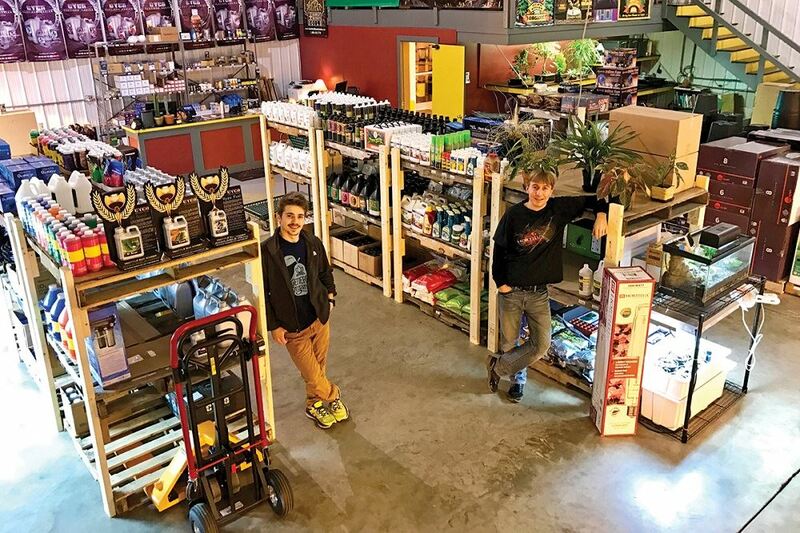 Takeaway: When Bloomington’s only hydro store closed last fall, former employees saw an opportunity to fill the void and made the move to open their own store. Just a few months after opening, Goldleaf Hydroponics owners Kyle and Monica Billman, and store manager Roger Emmick, are loving every minute and already thinking of growing. When their beloved hydro store, Worm’s Way, closed September 2016 in Bloomington, Kyle and Monica Billman, along with Roger Emmick, decided to turn a new leaf. It turned out to be a golden addition to the city’s hydro community. Emmick had been the store manager of Worm’s Way and had hired Kyle, a loyal customer while going to Indiana University, after he graduated in 2014 as a temporary job until he found something in his field of linguistics. Monica was employed at the university after graduating from IU. When Worm’s Way closed, the three looked for a way to keep the store’s legacy going and fill a void left by the closure. Those customer relationships ran deep. When the Billmans married last summer, they decided to honeymoon in Puerto Rico. One of their best customers had a residence there, and when they arrived at the San Juan airport he picked them up and showed them the best local spots. Conversely, the employees had gotten to know their customers so well that when they saw one pull up to the store, they would pump that person’s favorite music over the store’s stereo. When Emmick and the Billmans opened Goldleaf Hydroponics just two months after Worm’s Way closed, they strived to maintain those customer relationships. Before Worm’s Way closed, they made sure their retail and mail order clients would know where to find them when Goldleaf opened through phone calls, e-mails, and social media, making the start-up transition easier. To make greater inroads into the community at large, they also joined the local chamber of commerce, ran billboard ads, solicited some front-page newspaper press, and worked with non-profits and local schools. Store location and obtaining access to a greater variety of products were the next steps. Tempted to move downtown, the team decided instead on a 3,000 square-foot warehouse in south Bloomington with convenient highway access and private parking since most of their customers came from the southern part of the state and surrounding states, as well as rural areas. To complement their product supply from BWGS, they added Sunlight Supply and Hydrofarm. “Working with the three biggest distributors in the country, along with several smaller vendors, allows us to deliver results on nearly any customer request,” says Kyle, adding that additional shelving has been added to accommodate a growing list of inventory. With a running start for a client base, an ideal location, and a well-designed website, Goldleaf has gone from seed to bloom in a very short time. For now, it’s a three-person operation, but full-time hires are within sight, thoughts of building their own facility are already being considered, and the dynamic of having worked for Emmick to Emmick working for the Billmans has gone smoothly. 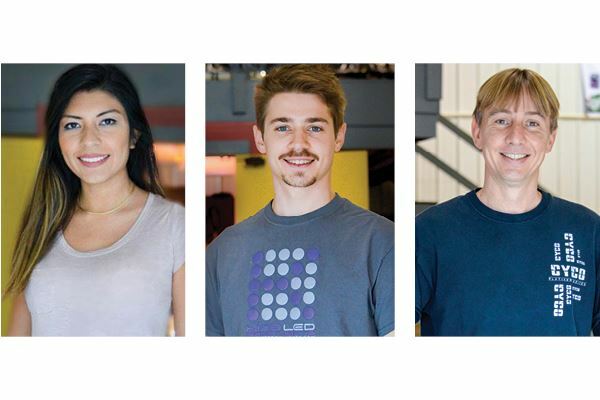 Together, the goal is to move forward and grow Goldleaf into everything the team—which now includes Arturo, a 16-week-old Chihuahua-terrier mix—envisions.